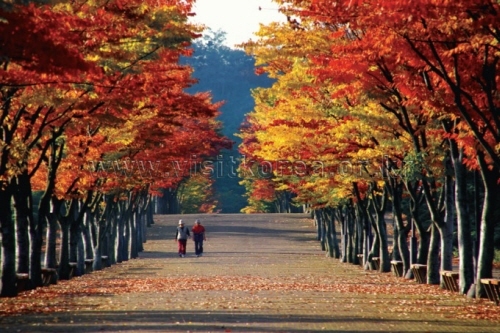 Late October and Early November is the best time to experience Autumn in South Korea. Next to spring, autumn is my favorite season to be in South Korea. This is when the leaves turn red. The weather is not to hot and not to cold and for some reasons the surroundings warms the heart. Maybe its the mix of yellow and read leaves which brings that feeling. How I love this season. Autumn Leaves. Photo courtesy of the Visit Korea Website. 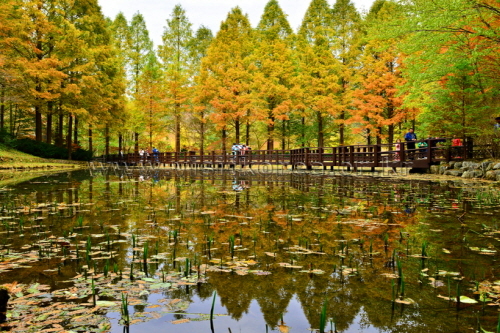 Autumn in Korea is 가을 (gaeul). Just like 봄 (bom) or spring, 가을 is used as given name for girls. Other than being born on autumn, the warmth of this season and the good weather are common inspiration to give such name to a pretty little one. During this season a visit to a park is truly a wonderful experience. Imagine walking with trees painted in yellow and red. The falling leaves is the autumn’s version of cherry blossoms. Fall in Munsu along Gochang Road. Picture courtesy of Visit Korea website. So how do you say the weather is good today (because it is usually during autumn)?